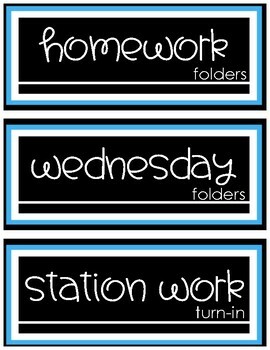 These sharp looking labels will help get your classroom organized. The key to an efficient running classroom is organization. 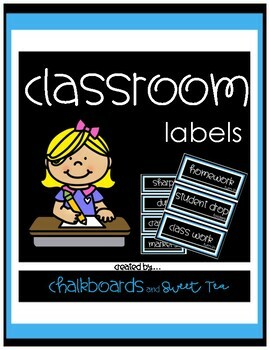 I use these labels in my second grade classroom and they are EXTREMELY helpful to students. 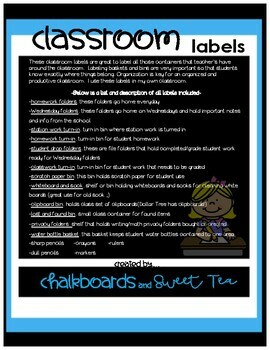 Students know exactly where things belong and there leaves little room for misunderstanding :) I included a description of what each label means, because some of the labels are my own and may not be clear as to what they are for. 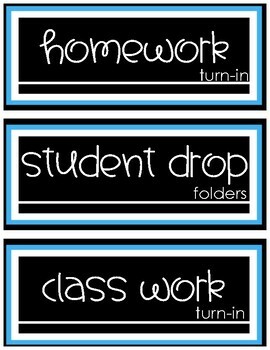 I hope these lovely labels help you in your quest for an organized classroom!